Catalonia has been on the news a lot lately. Why? Well, Catalonia has been wanting to be independent from Spain. This drama dates back to almost 1,000 years ago! Catalonia has its own customs, language, and laws. According to the Telegraph, “in 1150, the marriage of Petronilia, Queen of Aragon, and Ramon Berenguer IV, Count of Barcelona, formed a dynasty leaving their son to inherit all territories concerning the region of Aragon and Catalonia. Other kings and Queens tried to imitate the nation of Catalonia. Right now Catalonia is fighting for their Independence and Spain is not allowing that to happen. Riot police are attacking citizens of Catalonia; pulling women's hair, kicking, and hitting people will batons. Catalonians are not attacking the police, instead they are raising both their hands to show peace and that they will not harm them. Almost 900 people were injured from the horrific incident. The protests were so long they lasted for a week, which shows how much the people love their region. What will the future of Catalonia look like? The region of Catalonia will most likely gain its independence in the next couple months due to the riots and the protests. Also, they have a better chance of becoming independent because all of the horrific things the riot police have been doing to the citizens and the officials of the region. One reason why Spain does not want Catalonia to leave is because it is the Industrial heartland of the country. They would possibly lose thousands, maybe even millions, of dollars! In conclusion, Spain is in a very tight situation and doesn't have many options. We will just have to wait and find out what the Prime Minister of Catalonia and the Government of Spain have to say! “Being gay is a choice” and “You’re not really gay, it’s just a phase.” are phrases heard by young gay people almost everyday along with many other misguided or hurtful things. For many, coming to terms with their sexuality can be a challenge and being faced with claims such as these would be tough. Discrimination against those that are different is not a new concept. Especially considering the battle that the LGBTQ community has faced. Harsh words and rude slurs are constantly thrown around and they can lower the quality of life of those who are the targets. Many members of the LGBTQ community suffer from depression and other mental illnesses as a result of the backlash they receive. In some cases, it can even escalate to much worse outcomes such as suicide. A recent poll conducted in the classroom retrieved information on students’ thoughts on LGBTQ discrimination. The results were mostly positive showing that 92.3% of students who responded do support the LGBTQ community. The students at Asheville Middle School seem to be very accepting of the matter, in fact 76.9% of students answered that they have at least one LGBT person in their life. On another note, although 61.5% of students said they do believe that the treatment of LGBTQ individuals is a problem, 46.2% of them are not actually aware of the alarming suicide and bullying rates. Whilst the feedback from Asheville Middle School was largely supportive and accepting, that unfortunately is not the reality for everyone. A poll conducted by Gallup showed that ten million Americans identify as LGBTQ, that’s about 4.1% of the entire population. Many of these people face discrimination, especially the youth. LGBTQ youth are much more likely to experience bullying than their cis or straight peers. In fact, 34% of lesbian,gay, and bisexual students say they have been bullied on school property, while 28% have been bullied electronically. For many of these students, the bullying is their reality day after day. These statistics do raise concerns of many people, however students are being harassed on the daily and it’s often not taken as seriously as it should be as studies report that “LGBTQ youth lack support and guidance.” The Gallup polling also revealed that 13% of LGBT students have missed school due to safety concerns from peers. The schools play an important role in these students’ lives and must do a better job of supervising and controlling their students use of harsh words as well as making LGBTQ students feel welcome. 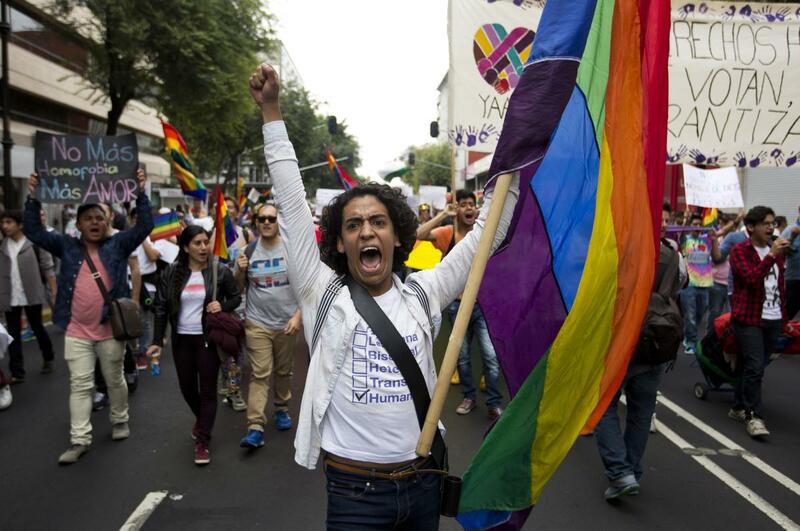 Despite all the hatred they receive, LGBT individuals have built a very strong community for themselves. The community creates a sense of belonging to all those who consider themselves a part of it. LGBTQ has a very clear mission to sustain the wellbeing of all gay, bi, lesbian, and transgender individuals. The community is all about being proud of who they are and the pride parades that are held throughout the year are one of the most well known ways to do so. Even though LGBTQ discrimination is alive and well in the modern society, as one of the communities’ most popular phrases says, “Love Wins”. Severe floods around the world are washing through cities and villages, sweeping away homes. In Asheville, we have gotten a pretty large amount of rain in the past few days. Parts of South Asia were obstructed by historic rainfall during monsoon season last month. 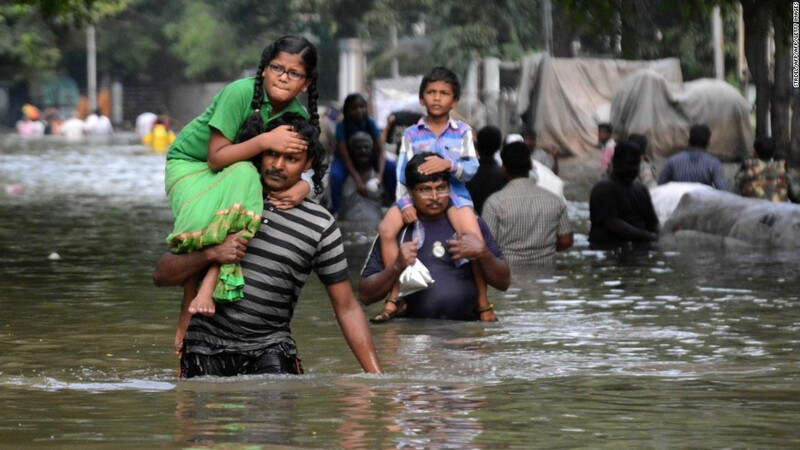 More than 1,200 people have been killed in India and Bangladesh and about 41 million have been involved in the flooding since June, according to the International Federation of Red Cross and Red Crescent Societies. The floods have also raised questions about whether or not climate change is part of all the current disasters. A current gigantic mudslide in Africa caused by heavy rains and flooding in the area of Freetown, Sierra Leone. This tragedy has killed around 500 people and left hundreds more still missing. Hundreds of houses covered in complete mud, trash, water etc. were buried after the mud poured down slopes hitting the town. Gabriel Fattah Manga felt the land trembling as he prepared to go to work on August 14 and saw water and what he described as "the whole mountain coming down." Lucky enough, Gabriel survived, but an entire generation of his family is now gone. How climate change will affect the world in our lifetime: Oh, it's happening. Rising temps lead to melting of the ice caps, which can cause a rise is sea level. Times are changing… and so are the temperatures. Although people may deny that this is true, science says otherwise. The sea level has risen 8 inches since 1880 says Nasa. This shocking statistic brings into light a scary idea. Will some of our most beloved cities become... submerged? It is believed that by the end of the century there will be mass amounts of flooding in 670 coastal communities such as St. Petersburg, Florida and Miami, Florida. A study shows that climate change could make South Asia uninhabitable within our life times, according to Futurism. Where would the people that live there go? What would happen to the wildlife there, the nature? These are questions that we will soon be hit in the face with if we don't start acting now. That is, if it's not already too late. The first thing that we can do is to limit or stop our use of fossil fuels. Many scientist believe that it is too late for us to reverse the effects of climate change and global warming, however we can still be aware of our own personal carbon footprints and cut down on our bad habits. Believe it or not, there are apps for this and they prove to be very helpful in keeping people mindful of the way they are personally changing the world around them. One of these apps is called Oroeco. It all starts with becoming mindful about our actions. What can you do to help slow the process? Un giving a speech at the funeral of Kim Jong-Nam. Little is known about the dictator of North Korea but here is what we know. Kim Jong Un went to school in Switzerland, and very little is known about him before he became the dictator. Another possibility is that he didn't actually go to Switzerland, it could have been his older brother instead. Initially, Kim Jong Un was not considered to take up the mantle his father had held, it was intended to go to either his half brother, Kim Jong-Nam, or his older brother, Kim Jong-Chol. However, Kim Jong-Nam was deported from Japan in 2001, and Kim Jong-Chol's reported unmanliness improved Un's chances. After his return to Pyongyang, he is known to have attended the Kim Il-sung Military University, and had dinners with many North Korean officials of high rank. Kim Jong Un’s mother was Kim Jong Un's favorite wife, and called Un “Morning Star King,” In August 2010, when Kim Jong-il visited China, one report said Kim Jong-Un had accompanied his father on the trip. By then he was widely seen as the heir-apparent and when Kim Jong-il died, this was quickly confirmed. Un made his first public speech as North Korea on the 100th anniversary of the birthday of founder Kim Il-Sung on 15th April 2012, praising the "military first" doctrine and vowing that the time his nation could be threatened was "forever over". "Superiority in military technology is no longer monopolized by imperialists," he said, adding: "We have to make every effort to reinforce the people's armed forces." Un is also widely believed to have ordered the assassination of his half brother. This murder should have gained him very little political power and seems to be a senseless murder. So, this goes to show that Kim Jong Un has had a very interesting life and I don’t think he’s slowing down anytime soon. Puerto Rico got hit by hurricane Jose, Maria, and Irma. It seems to be the worst US territory to get hit by the 3 hurricanes in 2017. President Trump is trying to stop all of the fuel shipments because he says they have already put too many shipments out. However, most of Puerto Rico still does not have fuel, power, food, water, and most things you need. Many people unfortunately died during the hurricanes between flooding, or house being crushed or ruined, and many other reasons. People now are still unfortunately dying because of the lack of food, also people can't get out of their houses because of this power issue and rescuers don't always know where these people are. Even people that saved up money from being prepared, or just had a lot of money, have it hard right now and are barely surviving. Money doesn't help when there is nothing to buy. Some rescuers had already started to rescue people before hurricanes hit to try to help by evacuating. More than half of Puerto Rico are still without water. Our thoughts are with them as they recover from this tragedy!